Join us in shaping December 16 as Nirbhaya Diwas, from this year on. A special day dedicated to the girl who did not have to die so young. 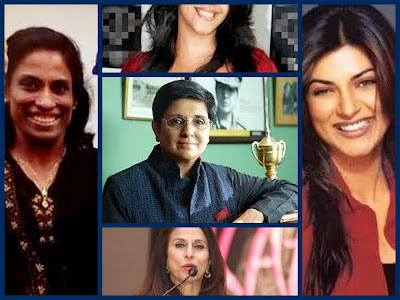 To compel women to take on an unequal society and men to pause and realise the significance of women in their lives. It would be a day to observe genuine equality and foster mutual respect between the sexes. Do sign this petition and help spread the word. Your support is essential and all we ask from you is to become a vigil keeper. It's something you truly and deeply want for your family, your friend, your neighbour and your child. I enjoy dancing, though I am not a perfectionist neither very good at it but then if given a chance I can dance for hours to support one cause ‘Education for Women’ this the one cause for which I am always ready to support and do anything, till every women gets the right to education. 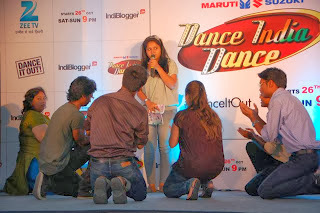 And recently I got a chance to do that, as I was part of the team that was supporting the cause ‘Education for Women’ on 23 October 2013 at the DID Indiblogger’s meet. My reasons for supporting this cause come from a real life incident which is still as fresh as ever in my memory. From January 1998 onwards me and my friend ‘Anju’ were super excited and began our count down to the end of school and beginning of our college. We both decided to join a professional college so that we could achieve economic independence to an extent that we would be self-sufficient in our life should any mishap did occur in our married life. Anju’s parents dashed all her hopes when they got her engaged to a middle-aged man more than twice her age. All her laments, pleas and string of tears did not mover her parents who nipped Anju’s dreams in the bud of becoming another Kalpana Chawla. The marriage was short lived, and in six months time ended in a divorce and subsequent suicide. I am reminded of this episode every time I hear of another girl deprived of education and forced into marriage, and it does send a shiver down my spine. On the other hand after completing my education I did not become Kalpana Chawla, but have carved a niche for myself in the IT Professional world. The sad part is that Anju was deprived of the basic right to education. The fault not only lies with her parents but the Government and the society at large. Today when India is one of the fastest developing countries still there are few drawbacks, which are holding our progress. For example, women safety, female foeticide, dowry issues, child marriage, education for women, human trafficking are some of the critical areas of concern. However out of all this the one which is more threatening and alarming is illiteracy in females, which is a main root cause of all these curses and drawback of our society. Indian may have clinched a name for itself in Information Technology the world over, yet in the hinterland of rural India majority of children, especially girls are deprived of the basic education. There are basically two areas that need to be addressed if India is to grow by leaps and bounds . First and foremost; total abolition of child labour needs to be ensured. The fear of the devil needs to be put in the minds of the parents who resort to denial of education to the children and especially girls. Government has done its bit by giving guaranteed rural employment to the rural population and also made education free up to the middle level. Over and above this the Government has also introduced mid day meals to school going children so that nutritious and wholesome food is available to the children. If even after this incentive children are made to earn a living by foregoing school the punishment should be exemplary. This will go a long way in educating rural children. The second most crucial point that needs remedy is that the education standards in rural schools need to improve drastically. This can only be done by employing proper trained and qualified teachers who draw a decent salary so that they are motivated to improve the education standards of rural schools. 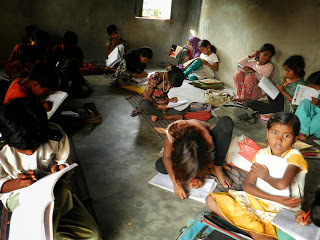 The staff at local village level should closely monitor the functioning and results of the school on a regular basis. Once these two steps are taken care of, in a short span of just fifteen years the literate percentage will show a marked improvement. Education for all will have the desired effect, drug abuse; crime against women will drop drastically. Education will ensure good job placements; this in turn will improve the living standard of the majority of the people. 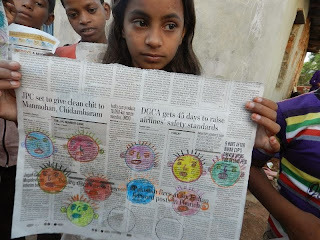 We are all aware that if we educate a girl child, we ensure that we educate her future generation after her marriage. Unfortunately this aspect is not appreciated by the rural folk who may let the male child go to school but never the female child. From very early in life she is made to work at home and even help in bringing up her siblings. Today we do have schools if not in every village but in the vicinity. Non Governmental Organisations need to step in and educate the parents on the need to educate our children, both male and female, in the right earnest as greater awareness in the younger generation after education will ensure drop in crime again women. Besides it will slowly eradicate the evil system of dowry that is prevalent in India. Today the nation needs the likes of Kalpana Chawalas, Kiran Bedis etc. and not Anjus. 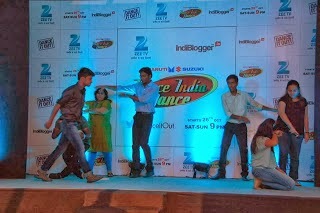 Let us dance till the nation wakes up the idea of women education. Part 3: The girl is brutally burnt alive by her In laws. Here we show what would have happened if she was educated? She could have educated the community. (The story in this post is a work of fiction inspired by real life incident I personally have come across). The story moves around Ritu Anand and her life that has been blemished by a brutal divorce and a counterfeit commitment, that pushes her into her own cocoon of thoughts, All this takes a toll on her life and makes her go away from love and commitment. She used to be a successful news anchor with one of the well known and established agency in her past but the tragedy in her life takes it all away from her. She joins DAG after 2 years of isolation which works as whiffs of fresh air in her life. 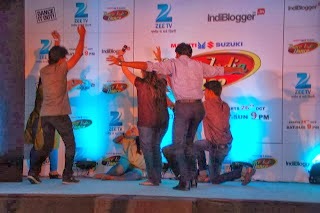 There she meets Anshuman Sinha, with the first look itself she goes crazy for him. As the days pass in DAG at a relaxed speed so do Ritu and Ashuman start getting close to each other. Eventually all this ends up in a serious relationship. This helps Ritu to overcome her past, although her best friend Sumbul doesn't approves of it and keeps warning her about Anshuman. To which Ritu turns her deaf ears as she is completely blind in Anshuman's love. But there is more to Anshuman than which is shown. The detailed description of Ritu’s past painful memories and friendship between Ritu and Sumbul is something that does play on your emotions in the story. Anshuman’s character creates inquisitiveness in the minds of the reader while Ritu is all charm. Sumbul’s careful, alert and aware nature is also something which can't be ignored. The shayari mentioned in the book goes hand in hand with the concept of the story. The story leaves an impact on the readers mind in the end. The reader wonders if it will be possible for Ritu to see the hidden or real side of Anshuman or will it be too late to realise his undiscovered side. Will her love for him keep their relationship going? To unfold the same you need to read this book. The concept is good, the twist and turn in the story is enthralling. The authoress has narrated the story well as it keep readers look forward to what will be next. Overall if asked I would say...this is a good work done by Authoress… (Uzma Jafri) I would give 2.5 stars to this book. A thought to share..." difficult to handle when you trapped in a river of emotions..., where logic is trying hard to get drowned..."
We as children are introduced to the concept of praying by our parents. By following their example we are initiated into it to begin with, and over the years we do develop our own reasons to pray, devise our own rituals to reach God. Parents are excellent teachers when it comes to Body Mind Programming. From a very early age children are made to recognise Gods and Goddesses as depicted in temples, calendars etc. We as children are also taught to ask for boons. While teaching all this, certain amount of fear is also introduced where we are told to except punishment in case of questionable conduct. It goes without saying that live example by parents does motivate the children. It is also seen that where parents do not pray or do not believe in God, their children also have a similar view point. 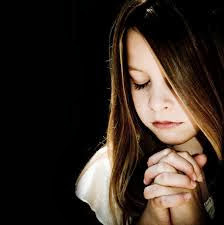 In the young mind of children there are few things that do get etched in their sub-conscious mind, for all times to come and those are always associated with prayers. Fragrance from an agarbathi is one such association. 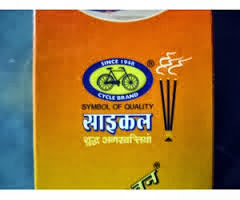 Cycle brand agarbathi is the best choice when it comes to selecting an agarbathi to accompany you in your prayer, as it fragrance are long lasting and you feel so divine and it help you to connect with your The Almighty. 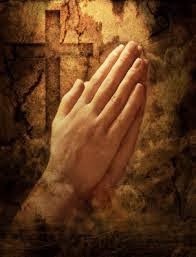 By making one read a holy book or praying in front of an Idol or a photograph, the wandering sight is taken care off. By listening to the hymns and religious discourse the hearing sense is channelized. By turning the beads and performing other rituals like Aarti etc, the sense of touch is also brought in focus. The fragrance of agarbathi camouflages other smells that can distract the mind. The moment an agarbathi is lighted up our mind registers it as a fragrance that is associated with prayers. The programming of the mind ensures that we start concentrating as our minds are pre-tuned at a young age to pray while the agarbathi is spreading its fragrance. It is difficult for the mind to concentrate on something that our senses do not perceive, hence the need to have these rituals. Cycle brand agarbathi gives you an opportunity to make a selection from their variety of natural fragrances and packs like: All in one- Which is an inspired and innovative combination pack perfect for gifting. Classical Originals is a special offering to the connoisseurs of incense. 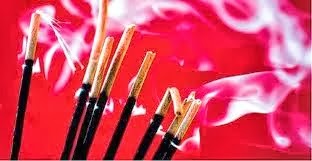 Fairy Tale - First of its kind celebration incense; four different fragrances in one stick which can burn for about 3 hours. Each fragrance tells a fairytale that can cast its magic over you.Like- Odyssey –Sweet & distinctive, Helix – Subtle & classy, Glitter – More natural,woody fragrance and last in this list is Dazzle – Crowns the experience,leaving a dazzling after-effect. Heritage - A variety of fragrances to come up with a unique one! It is similar to our own Indian heritage, like a river formed by many diverse streams of traditions. Honey Rose- this fragrance is reminiscent of an early morning walk through a garden of roses. Moods- Just a whiff of it is enough to put you in a different frame of mind with its mood altering qualities. Morning Glory- Savouring it is a pleasant way to begin a new day, full of the promise of new journeys, new challenges and new horizons to be reached. Natya Kesari- A sweet, sublime and classic fragrance with such qualities can hold its own with the passage of time. And it has done so with aplomb. Om Shanti, Parampara, Prestige, Rahasyamai, Sandalum, Three in One, Yagna, the list is never ending. 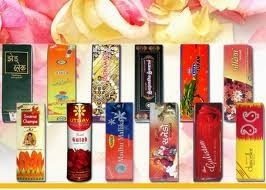 Cycle brand agarbathi also offers you a wide range of dhoop with different exotic fragrances and they also offer you a complete pooja kit wherein everything which you need for pooja is catered for in the kit. Now as Diwali is approaching, I will be using the Lakshmi Pooja Pack this year because I have already experienced the exotic fragrances of Cycle brand agarbathi, and considering that fact. I am very sure about the quality and quantity of this new product. Additionally with Lakshmi Pooja Pack will be benefited double as I don't have to bother of about missing out on any important pooja samagri on this auspicious occasion of Diwali or any pooja. The story is about Japas who are in a race for power so secretive that their existence becomes as dismissed as a parable. This story revolves around our mythology era. 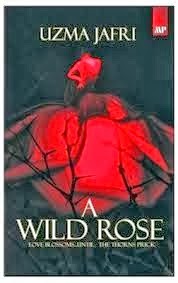 Even first few pages would give you the feel as if you are reading a mythological drama where the men and women, possess special physical abilities beyond belief, playing with elements, with the power to curse and cure. They exist among us, mingle with us, ride our metros, visit our malls, and even go to the same schools and colleges as us. This is the perfect story with many flavors in it and some extra-ordinary events and also some unusual twist and turns. Parineeta Mohan is a powerful Japni who has turned her back on The Witch Way. She has even brought up her niece and nephew as ordinary people, unaware of their heritage. Their life changes when the kids disappear along with their cousin Roma. A shocked and desperate Parineeta has to find them before enemies of her family do. Moreover she has no one to turn to but Jorawar, a man she is attracted to but can’t trust since he belongs to the ominous association named ‘Pax’. The only way she can fight, win and survive is to embrace her heritage and get back to her witch power. As the story moves ahead, at times you will feel that you are in mythological world, then it is completely different an era of 2050, then with another turn in story you will find yourself in today's world, sometimes you will find yourself encircled with magical powers while at times you will visualize unimaginable things happening in a page yet for others it might be just a page of book, however for you it will be a completely different world of an unusual tale. The concept and climax is good, on each and every page, every twist and turn in the story is captivating. The authoress has narrated the story so well that you want to keep reading to know what is there in the next page and which twist will be the next. Overall the book is really good and very well expressed. The only drawback of the book is the thickness of book, but then the power with which authoress has narrated the story cannot be written in an abridged version. 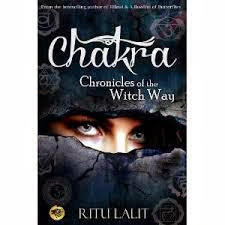 Overall if asked I would say...this is a commendable work done by Authoress… (Ritu Lalit) I would give 4.5 stars to this book. “An intEresting story about personal life struggles, Friendship,love and other overriding factors of today’s modern day traditional family survival… "
This is the novel by Richard Son … This is a story of Sam, today’s emblematic guy who love life happy and carefree, but has high ambition to exceeds and achieve more than a normal boy can hope to. Sam has his own set of worries, complains, and his never ending anguish with his family. A new college mate girl ‘Amritha ‘ a modern cool super rich girl enters Sam’s life and the moment he sets his eyes on her he knows she’s going to play hard to get, but cupid plays its role in between them, and take them into a world of romance. When everything around seems smooth and as per the plan, in reality it just wasn't. This is when Life starts pressing down on Sam. 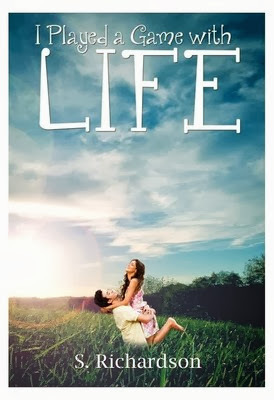 Though Sam’s attitude about living life is to be happy and cool, he finds himself being tested. One after another problem sets him on perimeters to make him undergo that assessment which veritably ends up playing a game with Life. A game that ends when Life's travails get so hard that Sam is pushed to tears, situation and circumstances pushes him into a world of distress and culpability. Undergoing such problems and emotional turmoil, still Sam manages to grip on to hope. He struggle the turning points of his life when his father doesn't supports him in the cause and his struggle to set things right becomes a tough task. This is a story about lost hopes, fading ambitions, silence of an innocent soul, and intense love for a girl and in the end the price Sam pays for each and everything. The story is real good example of hope, learning and implement, how to achieve success make dreams come true. The concept and climax is good, on each and every page it will teach you a lesson. The struggle and achievement of Sam is something very inspiring and narrated well. Indeed the story will shake up your emotions to understand the story of Sam and his life. Overall the book is really good and very well expressed; I would like to suggest that a little stringent editing was required as there are some typing errors in the book. The only drawback of the book is the description of happenings in college life. Which makes the first half is no different from many other stories in present times and reader tend to lose interest. Overall if asked I would say...this is a good job done by Author… (Richard Son) I would give 3 stars to this book.